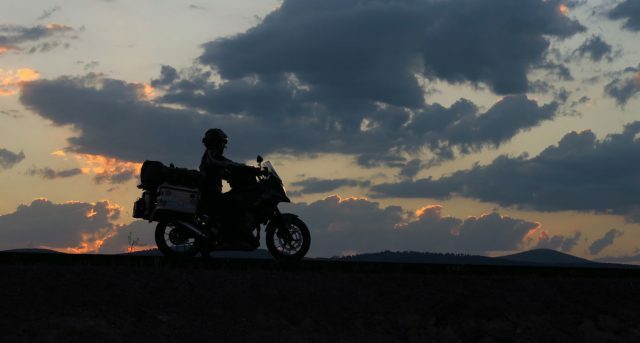 We took our time riding through Turkey, thoroughly enjoying the journey before heading further East. 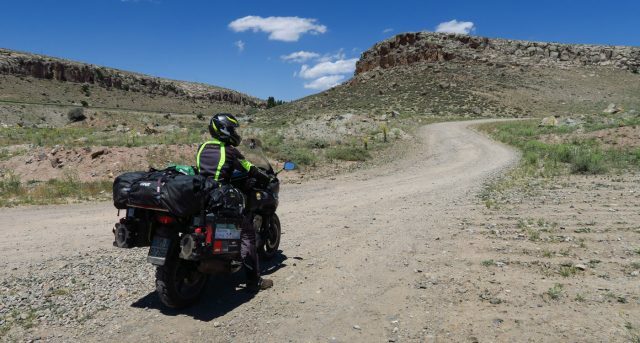 Leaving the scorching heat behind us, we crossed the border into Georgia, passing through mountains that chilled us to the bone. 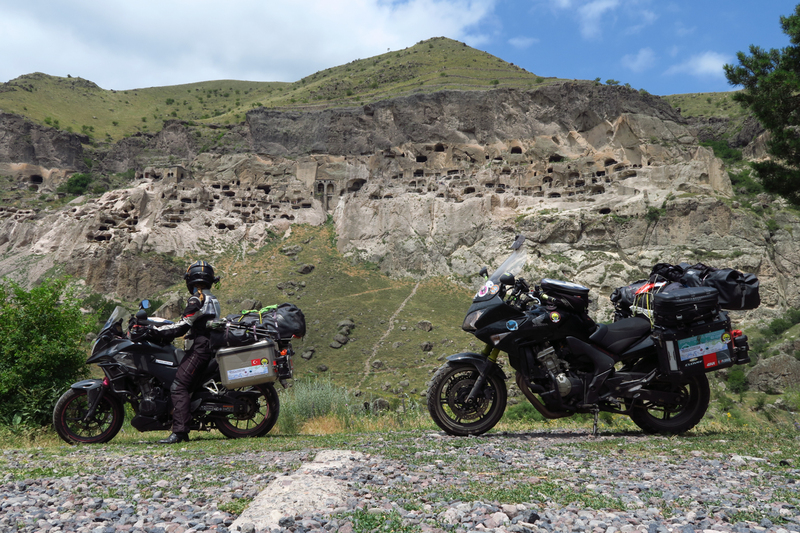 We spent our first night in Vardzia, a valley surrounded by mountains and evocative monasteries excavated into the white rock. 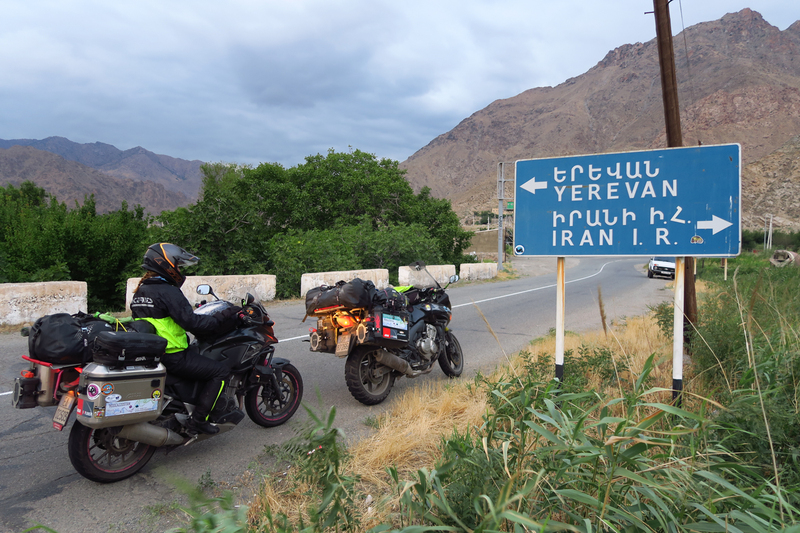 The following day we hit the dirt road to cross the border into Armenia. After clearing Customs we stopped at a corner shop for some food, where we were approached by a small group of children who invited us to their home. Chatting in English with our new young friends gave us a better understanding of their country. 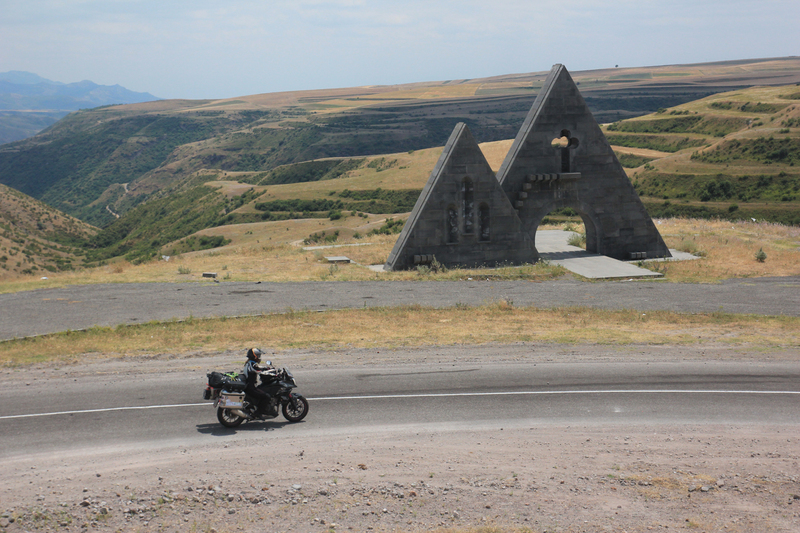 Once back at our motorcycles, we rode on visiting Yerevan, a beautiful capital city full of enchanting monasteries, such as the Khor Virap, the well-preserved architectural jewel. On a clear day, the snow-capped peak of Mount Ararat is clearly visible… reminding us how close Turkey, an all-time enemy, really is. 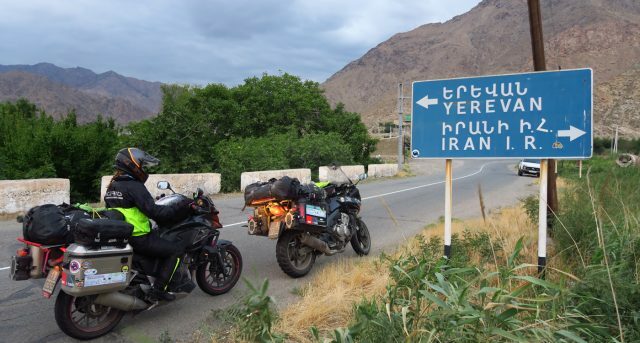 Exploring the most southern tip of Armenia, a stone’s throw from Iran, we climbed higher and higher reaching an altitude of 2,535 meters through the Meghri Pass. 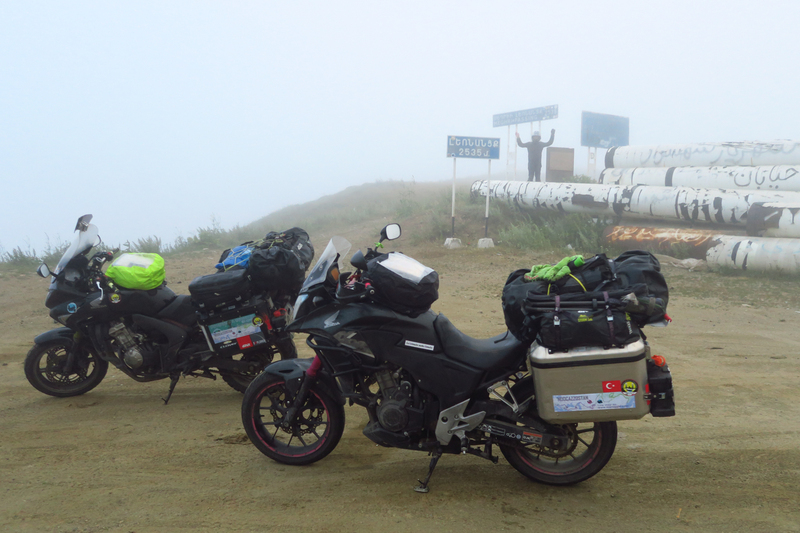 The afternoon was both cloudy and foggy and as we descended into the landlocked region of Nagorno-Karabakh, the sky cleared up for just a moment. 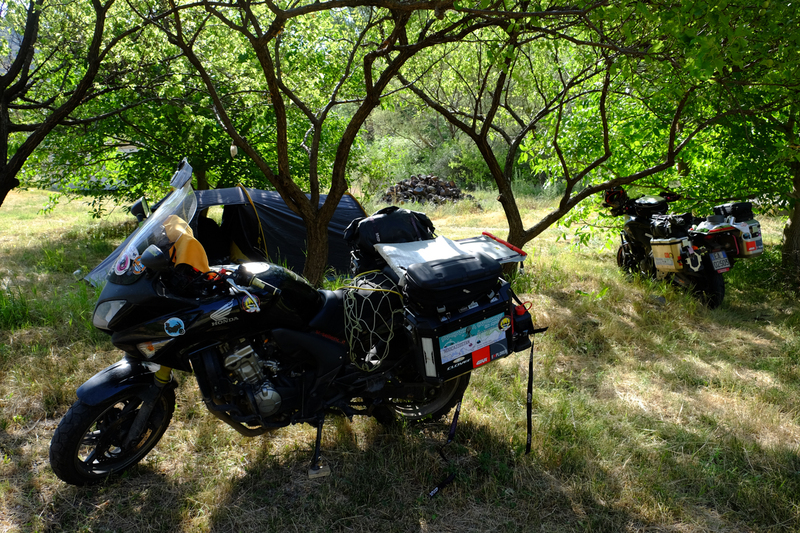 We were surrounded by a beautiful green landscape, full of hills to climb and the temperature was perfect. 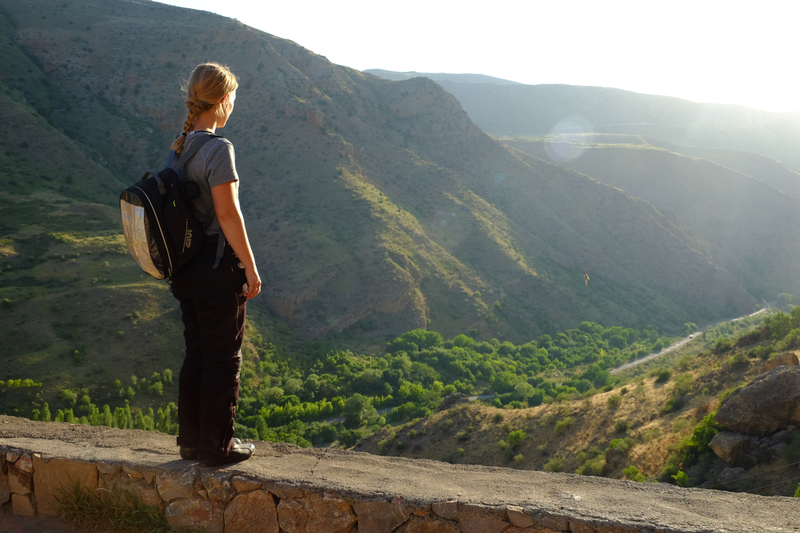 We were extremely pleased to be exploring these unknown lands, the cause of so much dispute between Armenia and Azerbaijan since the dissolution of the Soviet Union over two decades ago. 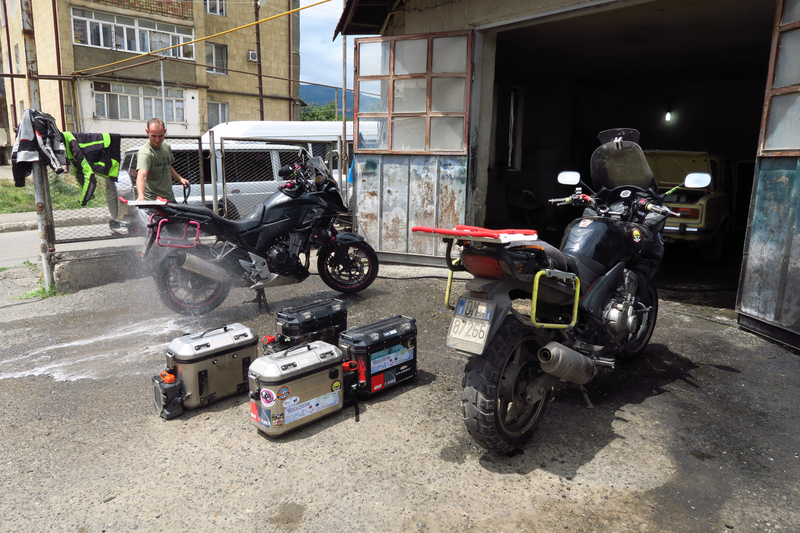 Once back in Georgia, we stopped briefly in Tiblisi in order to replace our tyres. 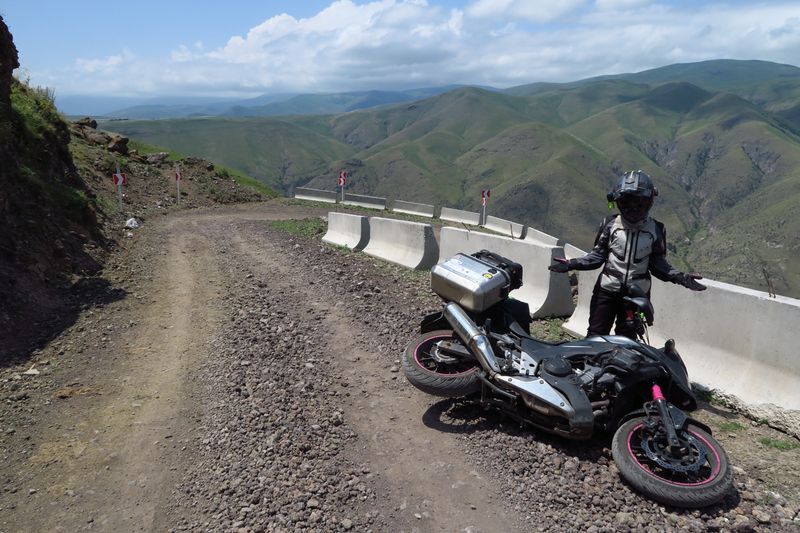 We then rode towards Russia, along the spectacular Georgian Military Highway. 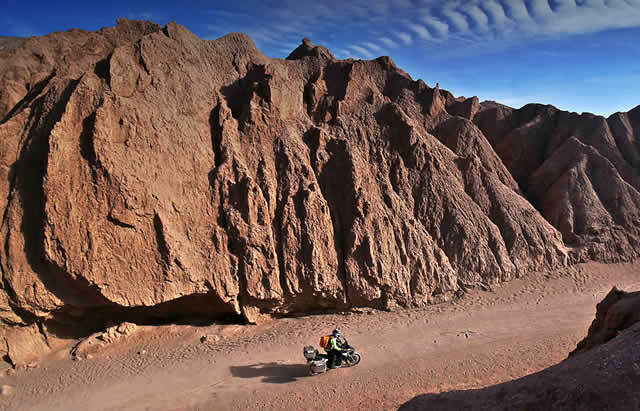 Once again we crossed the border, leaving the mountains behind us. 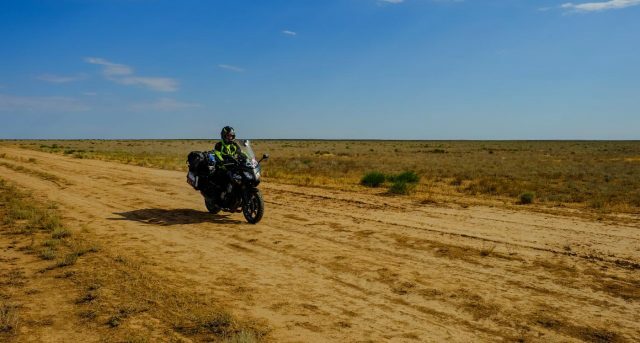 We ended up riding through desolate grassland with nothing more to see than the odd rickety lamppost and the occasional bush. 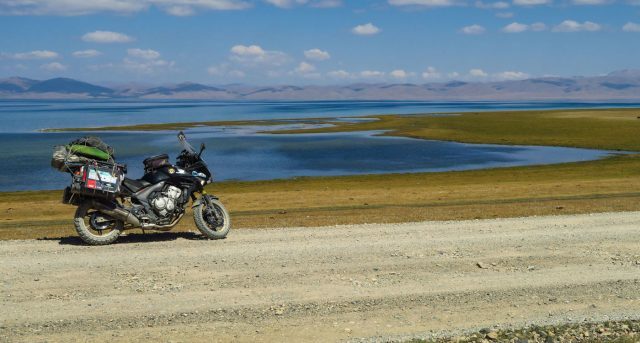 Eventually, we rode into the Republic of Kalmykia, the only European territory where the national religion is Buddhism. We spent a few hours in the enchanted city of Elista, full of fascinating eastern temples. 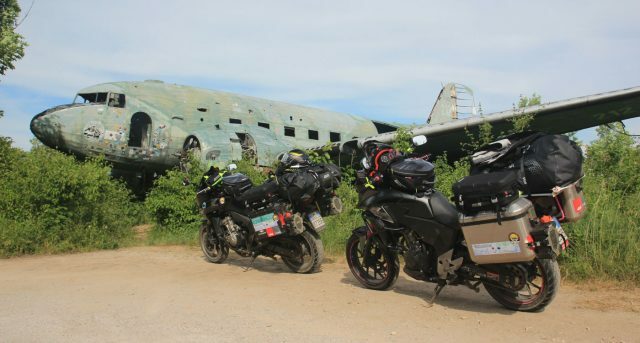 We were faced with more hours riding through the middle of nowhere that separated us from Astrakhan, where we stopped to repair a tyre rim that had been damaged by a pothole. 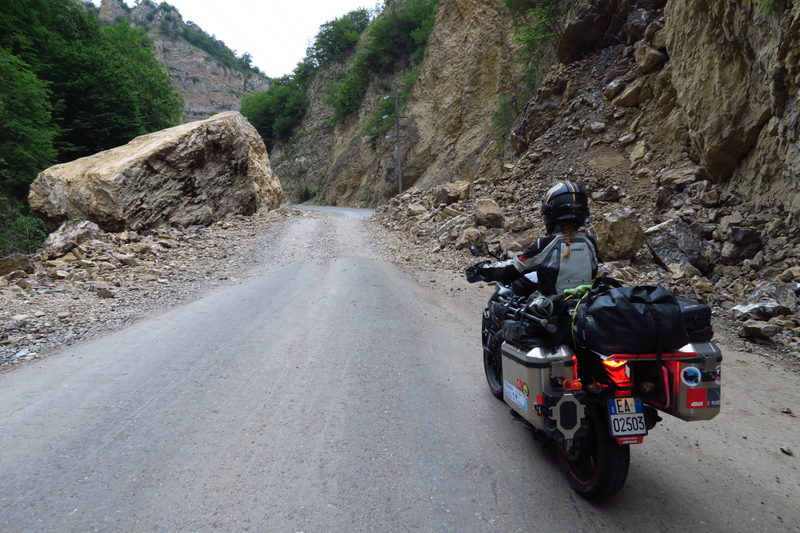 We then prepared ourselves to say goodbye to the Caucasus and hello to Kazakhstan.